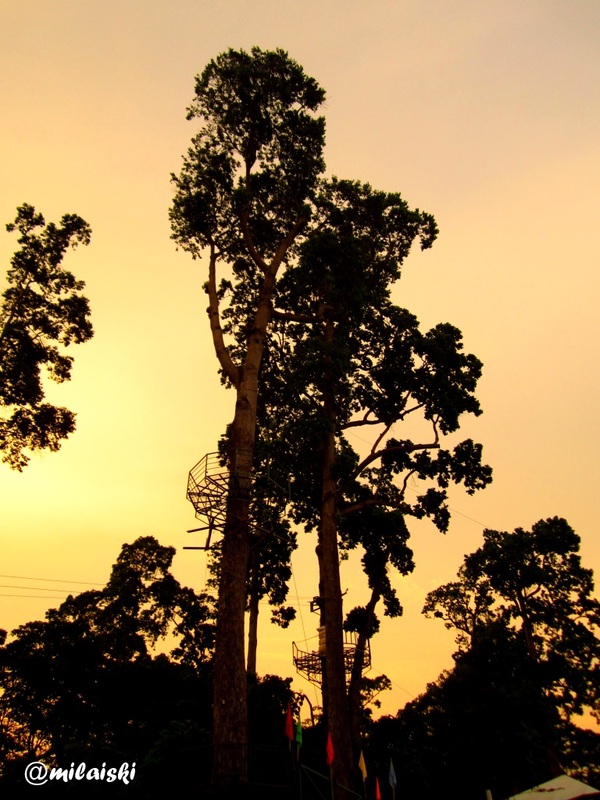 Silhouette of trees in Subic. It took me a while to think of something unique but then I remembered I saw something very interesting when I went to Subic. Ta da…. Hope you were not freaked out as much as I was! 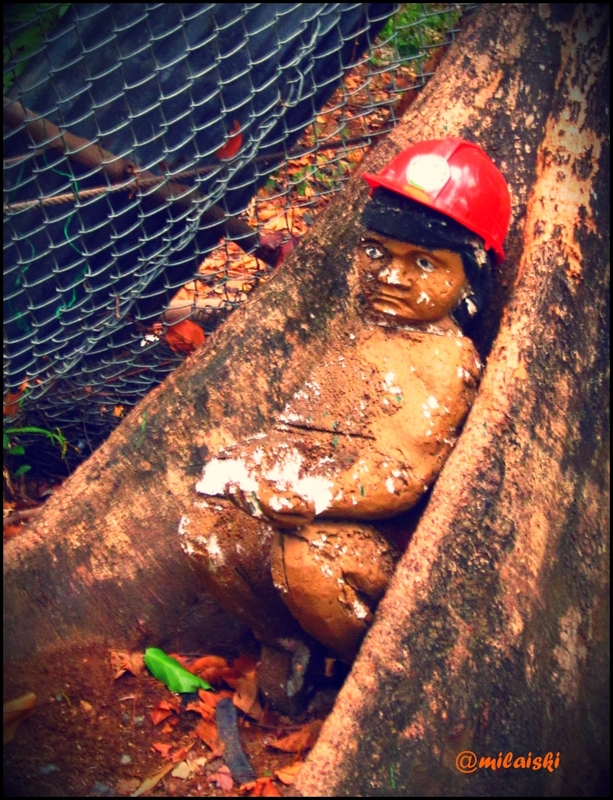 I was really disturbed how this statue stood out so much amidst the trees. It looked like a real kid waiting for someone or something. How it got there and who ever did this…. I have no idea. Check out all things at unique at Daily Post. Summer Kickoff at White Rock Waterpark and Beach Resort! Last March 30-31, 2012, our office held its annual teambuilding at White Rock Waterpark and Beach Hotel inSubic, Zambales. The place is ideal for companies and organizations that are looking for summer getaway without the hassles of long road travels. Since it was an office activity, we had no problems getting there courtesy of the bus arranged by the Transportation Committee. (Side note: We have committees every time there’s a big office event. I’ve been a part of the venue committee for the office’s past two teambuildings). The group left Bicutan at around 8 AM. We arrived at Puregold in SBMA proper at around 12 NN already due to the heavy traffic we encountered in EDSA. If you are going there via public transportation, all you have to do is a board a Victory Liner bus going to Olongapo. Travel time is about four to five hours depending on the traffic. From the Olongapo terminal, you have to walk a bit to the main highway then board a “red” jeepney. 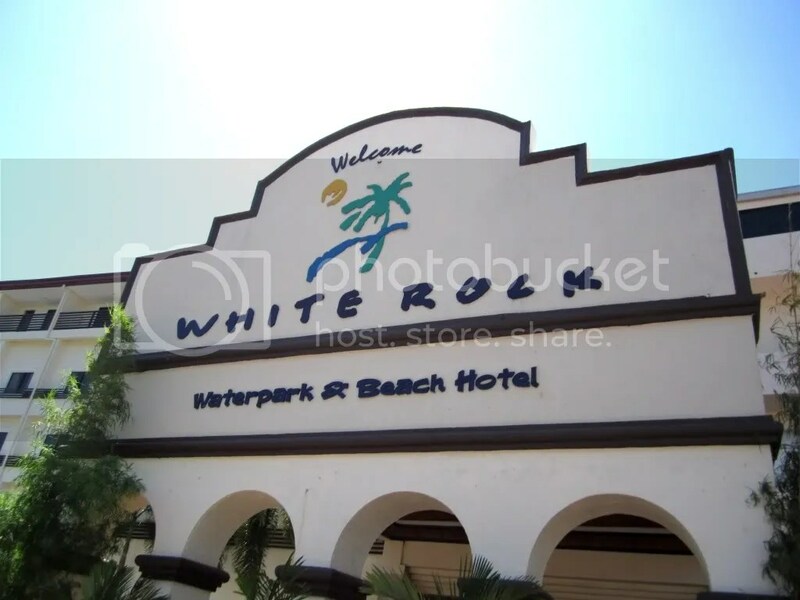 White Rock will be situated on your left just after the strip of beaches in barangay Baretto. I love traveling. I especially love long trip and road trips. I’ve been working for over a year now but because I still have commitments, I still can’t afford to go to far-flung places. However, in January I promised myself that I’ll try to reach different places this year. My goal this year is to tour Luzon. There is peace in traveling alone but we must admit that traveling with companions is still a lot more fun. I thank God I have friends who have the same idiosyncrasies as me. So I and three of my high school friends have officially started what could be series of escapade. 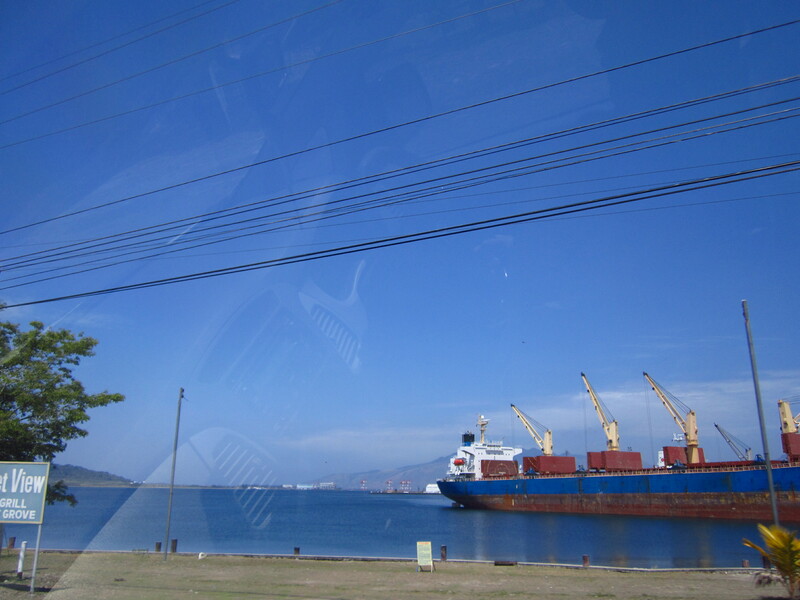 Our first stop last May 14-15: Subic Bay. We agreed to meet at Victory Liner at 5:30 AM in the morning. I don’t know what happened because for the first time in my life, I arrived late for a trip. LOL. I reached the terminal 5:55 AM, just five minutes before the bus departed. Should I Open a Travel Agency? Lol. What a title. My whole day passed like a whirlwind. I probably contacted several resorts and hotels and also looked at the outskirts of the Internet to search for transportation services. You see… effective today, I’m already a travel agent. Nah. Just kiddin. I was assigned to be one of lead in organizing our office’s teambuilding and it’s not a joke. >_> I already organized a strategic planning before in Tagaytay and I almost died. I promised myself that I’d never do that again but look here I am trying to killl myself again. I have no issues with trying to find a venue as long as there’s still enough time. Our teambuilding is scheduled on May 5-6, so good to luck to me on finding a decent place for 50-60 people. Oh well. Good luck to me and to my travel arrangement activities. I hope everything will turn out well.